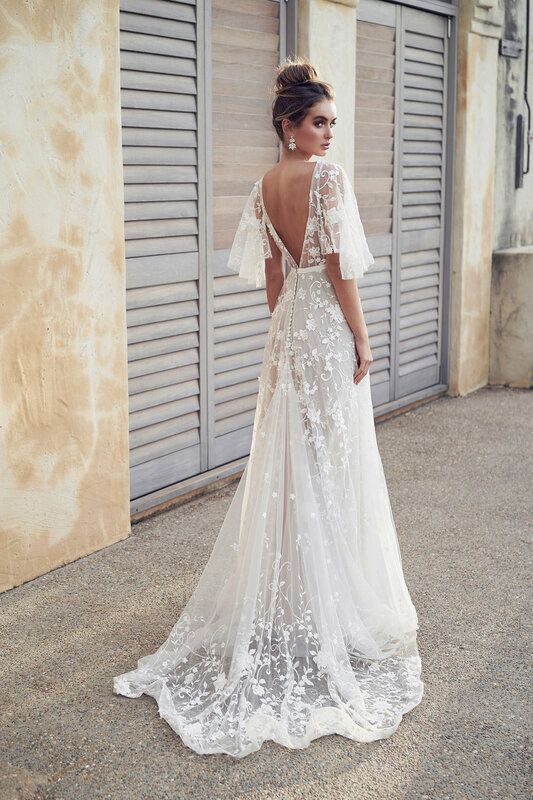 Created from the most exquisite embroidered tulle, embellished with 3D laser cut flowers and petals, secured with glass beading and sequins, the Amelie Dress is pure romance. A full skirt drapes beautifully from your waist, with a deep neckline and sheer open back. Available sleeveless or with a raw cut tulle draped sleeve (see imagery for variations). 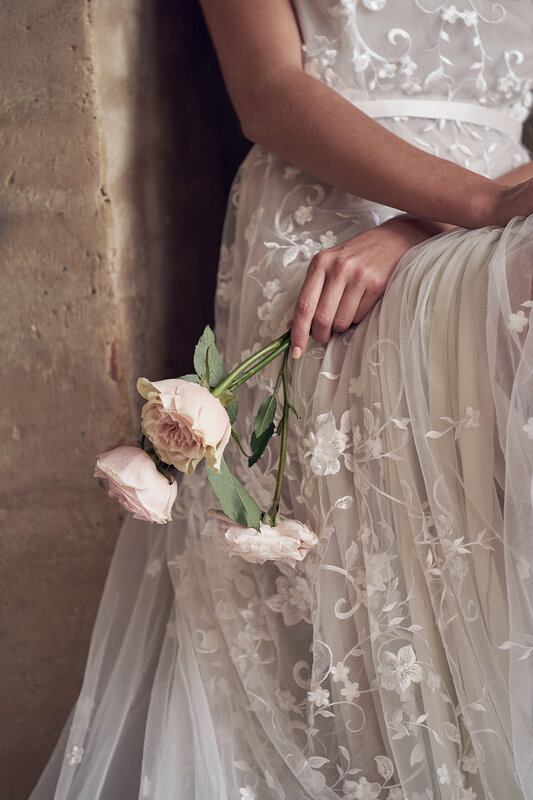 Handmade using a delicate ivory tulle fabric, embroidered with cotton and 3D laser cut flowers and petals, secured with glass beading and shimmering sequins. A full circle skirt drapes from the waist, creating a romantic and timeless shape. Sheer lace open back, lined in plain mesh. Skirt fastens with a lace-covered buttons. Silk dupion belt, fastens with a single lace-covered button. In-built train that is easily bustled with a lace fabric-covered button. All Amelie dresses feature a Powermesh lining, available in Ivory, Beige or Sand (photographed with Beige lining). Letting us know your location will ensure we accurately calculate the shipping cost of your Amelie Dress. My name is Bernadette, and I am your personal online stylist. I will be in contact with you shortly to assist you with exciting choices like colour, style, and sizing for your Amelie Dress.